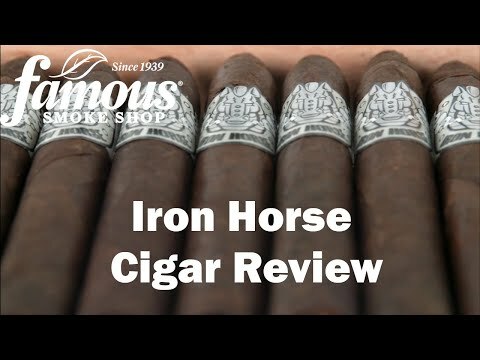 Iron Horse cigars are made to offer a full-flavored, every day smoke at a sensible, every day price. Ecuadorian Sumatra wrappers cured to a dark, reddish maduro conceal a blend of Dominican Cuban-seed Criollo '98 long-fillers and Olor binders. Handmade in the Dominican Republic by a boutique tabacalera, the smoke is rich, smooth, and impressively complex. If you're looking for an honest smoke at an honest price, giddy'up and ride the Iron Horse by adding a box or a 5-pack to your cart now.